A usually large, green-skinned fruit about the size of an apple. Flesh turns dark brown/black when ripe. Pulp both looks and tastes somewhat like chocolate pudding. 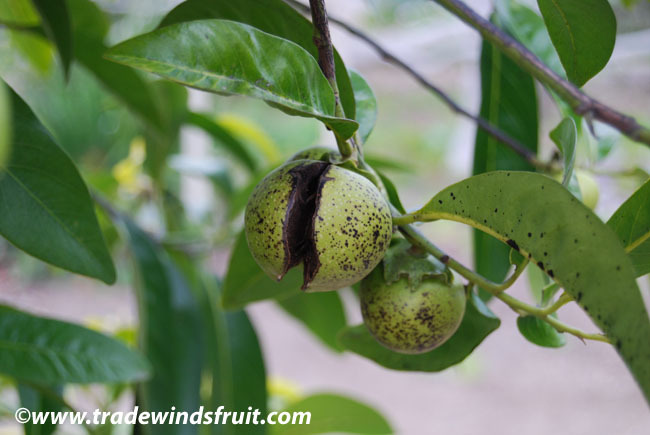 Black sapote's make a wonderful dessert fruit. Large tree to 80ft. Trees can be kept small and will fully bear fruits at just a few feet high. Full grown trees can survive to 28F. Trees are not too particular about soil and nutrient support. 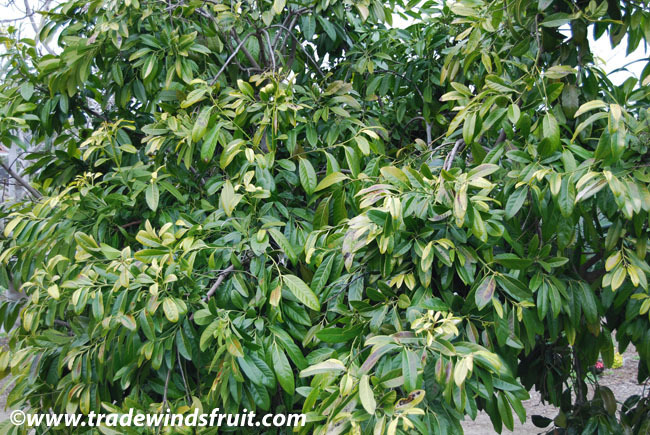 Fruits ripen in winter but depending on the tree may fruit a few months earlier or later. Fruits are best picked and eaten when fully ripe, the pulp becomes soft and pudding like at this stage. Usually grown from seeds which make it to bearing age in 5-6 years. Eaten fresh or used in desserts. 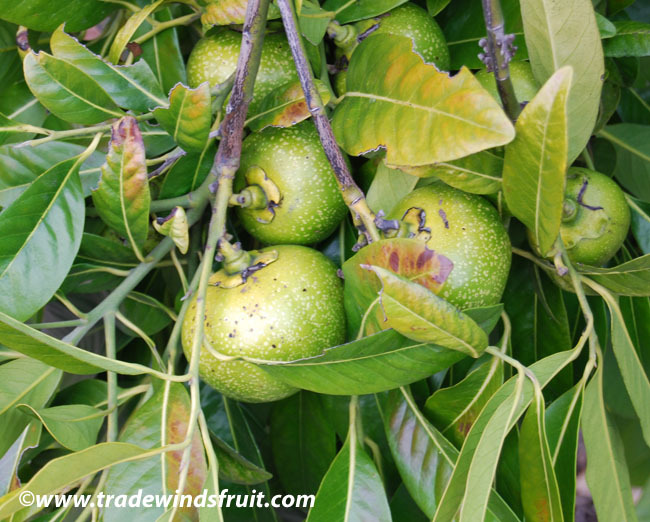 Black sapote mousse's, cakes, custards are popular dishes where black sapote's are grown. 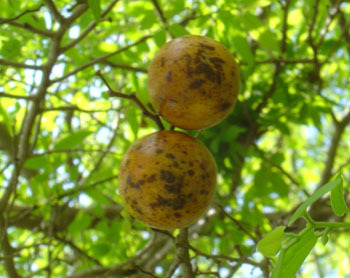 The black sapote is native to southern Mexico. Trees grow wild in coastal lowlands. Today, the black sapote is rarely cultivated outside of the America's.